Spring seems to be approaching fast and furious this year. We've had a decent stretch of weather ranging in temperature from 40's to the 60's. The warm weather has me thinking thoughts of open water and fishing. Whether it is from my kayak, my buddy's boat, or from a dock somewhere, it is one of my favorite warm weather activities. Because I've been doing it for decades, I have a number of great fishing memories. Here are a few that include a broad range of friends and family. 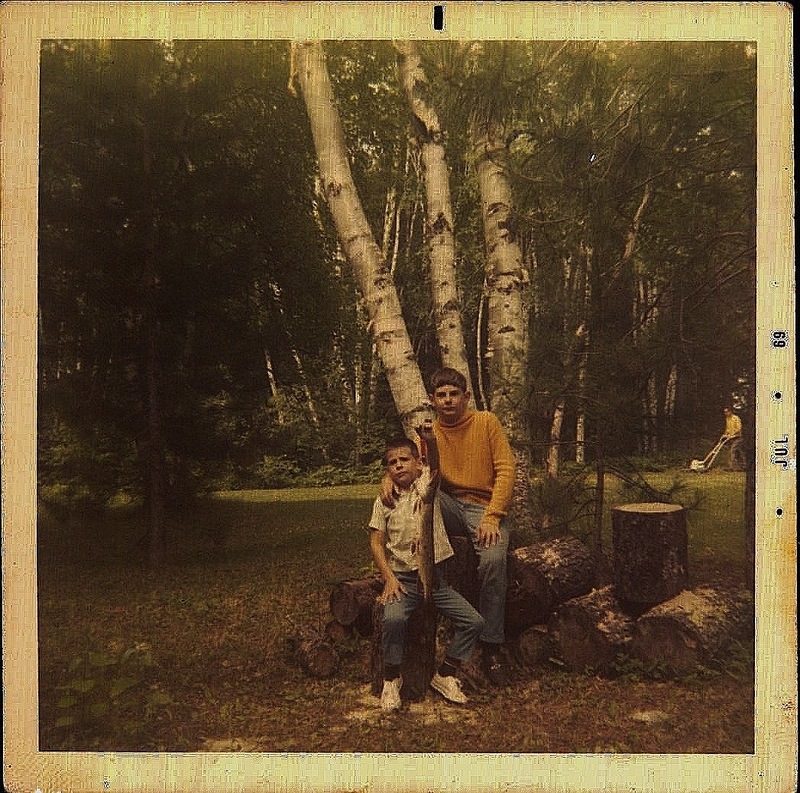 For a short time in the late 60's my mom dated a guy who had a cabin in Hibbing, Minnesota. One weekend he took her and all of us kids up to it for a weekend of fishing and swimming. In the early morning hours on Saturday, my brother Tom took Rob and I out fishing. All three of us caught northern pike. It was both Rob and my first northerns, a sizeable upgrade from the many panfish we had caught over the years. More importantly, it put the three of us brothers in the boat at the same time. I'm sure it was stressful for Tom to have to watch over us. I'm also sure there were crossed lines and hook sticks. But ultimately we had fun and caught fish. It showed Rob and I that Tom knew what he was doing and was out to see that all of us have a good time. Fast forward to 2004 and once again got all four brothers got together on a guided fishing trip on Lake Mille Lacs. We had two boats, but a full day of fishing and some great laughs on the water. This was our kids' first real exposure to fishing. They've been hooked ever since. We fished for trout in a reservoir near Hill City and had the best time. Everyone caught something and it helped make a good vacation into a great vacation. This was a memorable trip for many reasons. Fly-in, fantastic fishing, Canadian sunsets and a ton of laughs. It also changed the relationship between me and my friend Steve. We are kindred fishing spirits now. 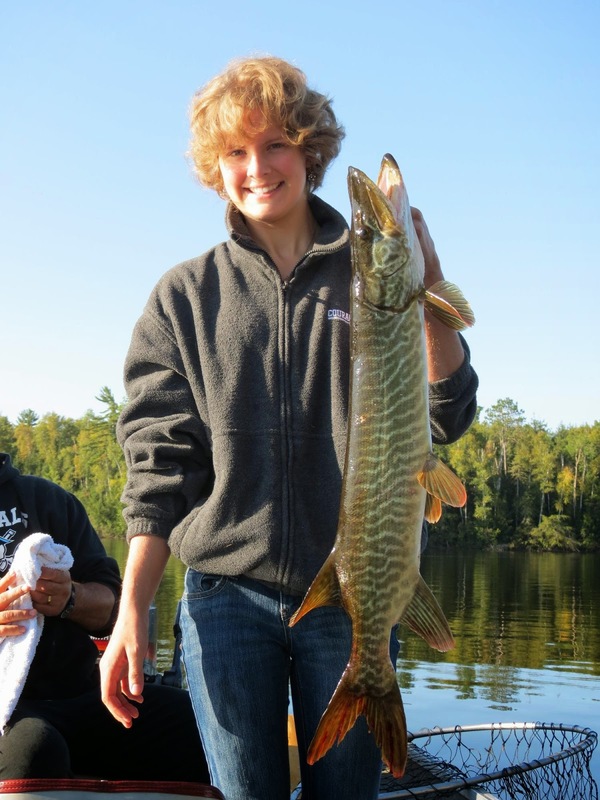 There is a lake in Vilas County that has consistently produced muskies for me. It is where I got my first and also where my daughter got her first Tiger. I'm not saying where. But two very special moments for sure. Clean air and water, lots of fish and countless good memories with my brothers, nieces and nephews. So, you can see why I live for ice-out on the lakes. It brings me together with family and friends (and sometimes very necessary alone-time) to catch fish, goof around in the boat, and connect on a whole different level. It is something I hope to do a lot more of in the coming years. It's my happy place.